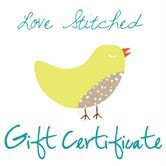 Lu Bird Baby: Love Stitched Giveaway! I'm pretty sure that's all of us, right?! the girl behind the Love Stitched blog and etsy shop. I am a list making, country music listening, vintage knob collecting, cereal mixing, craft store coupon cutting, Friday night jammies and a movie watching craftaholic and organizing fanatic with the husband of my dreams and three adorable boys who inspire me every day to "do what I LOVE". Love Stitched is the product of my addiction to all things creative and crafty. "Do what you LOVE", is my motto for life, and I LOVE designing accessories and accents to be adorned in the home or worn around town. When I first stumbled across Brittany's etsy shop, I instantly fell in love with her Anthropologie-esque style, with not so Anthropologie-esque price tags. you may one of everything inside. or take a look for yourself. Don't even get me started on this teal, yellow, grey and white piece of happiness on a string. I think if I put it around my neck it might never come off. I'm pretty sure Mackenzie and I need matching ones. See isn't her stuff awesome! this week Brittany is giving away a $10 gift certificate to her shop! 1. Visit the Love Stitched etsy shop. 3. Follow the Love Stitched blog. and then come back here and tell us one thing you love about your man. I'd love the mini hair clips for my girls! 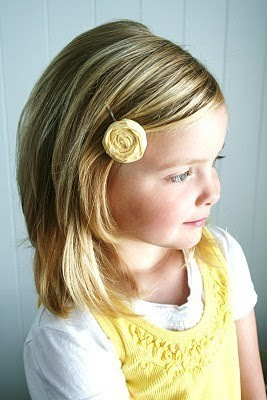 I love the JUNE - Simple petite Sping inspired Rosette headband. I follow Loved Stitched blog. 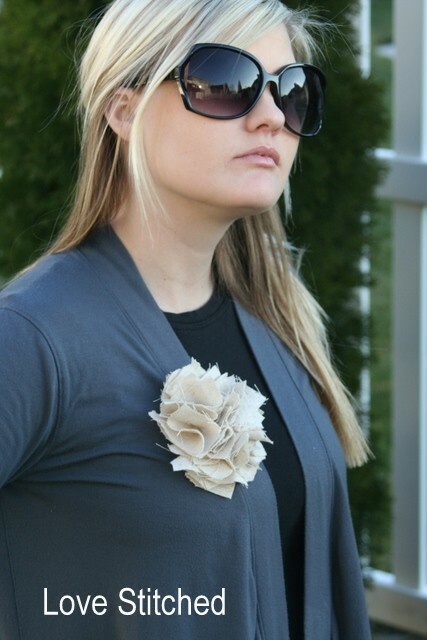 And I LOVE the Madelyn headband- gorge! I love pretty much everything about my husband. But most recently, his willingness to do a fashion post on my blog! What a trooper! I love the June headband. Perfect for my daughter! I love my hubby's sense of humor. I love the petite Spring headband!! Love all the headbands... Can't decide! Man, so many beautiful things! I think I love the Mikayla headband, but I love it all. Impossible to pick just one thing!! Love note written. I love how my husband never ever complains. He is such a hard worker and loves us so much and I am so thankful for him! I love her earrings! I have three pairs, but I can always use more! I love my husband b/c yesterday I ended up in the ER with my 5yo when he was almost 2,000 miles away on business and he still took care of me. He called his older brother to get their younger brother and come stay with us in the ER and give my son a blessing of healing. My SIL sent his wife to pick up my 2yo take her home. He kept a calm head and managed everything when I was paralyzed with fear. He's awesome. I love the turquoise rosette headband! my favorite item is the Blue Cabochon Flower necklace and earring!! sooo cute! i follow the lu bird baby!! i follow the love stitched blog! one thing i love about my man is he is soooo sweet! I love the Pom Broaches but the Courtney rosette earrings are awesome too! It's so hard to choose, but I would love to have some hair clips or a headband. Oh I love the bobby pins! My husband sees it as his job to take care of our family and he has never once complained about me staying home to take care of our little boy while he has to go to work every day. Everything is so cute, but I really love those rosette statement rings! i love any of the rosette rings! i also now follow love stitched blog! i love how my husband will do the dishes for me without me even asking! I love the rosette rings! They are awesome! I LOVE that my husband gets our girls ready every morning for school and then takes them. He is the greatest!!! I absolutely love the Grace Kelly Headband! I love how my husband knows just what I need when I need it! Yesterday mrning he brought me sa cup of coffee while I was feeding our son. I like the "COURTNEY - petite fabric rosette earrings - Tiffany Blue"
Love note to boyfriend - CHECK! I REALLY love his laugh and seeing him smile! I follow Love Stitched too! the mini hair clips are my fave!! I LOVE that "B'fast at Tiffany's" necklace! Follow the "Love Stitched" blog, too. I love how my hubby just gets me. After 15 yrs of marriage he still gives me butterflies. Love him! I send my hubby a love note in his lunch box every day. :) Today, I want to say that I love him for the way he seeks wisdom from God and knowledge for everyday tasks. He loves me so well! I love everything about my husband but he has a great personality and makes me laugh. That is the best! I love the Tiffany Blue Rosette Earings! I love how hard my hubby works to support us, even when he's sick and just wants to stay in bed like this morning. I love my hubby for making dinner every night this week and letting me study. He's the best!!! I love that he is an honest, upstanding man and a great father! I love the "Breakfast at Tiffany's" necklace. I really love it all but if I had to choose. 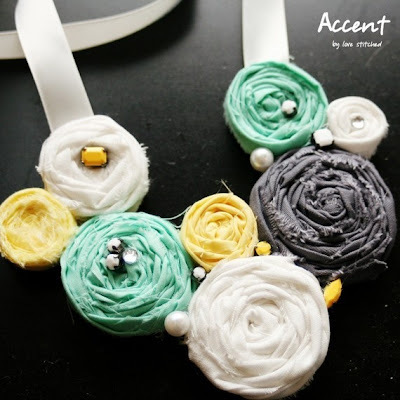 It's a tie between breakfast at tiffanys necklace and the june headband. or the jordyn or madelyn headbands. Ah! CAN'T DECIDE.